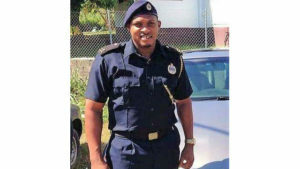 Leon Natta Nelson, the St. Kitts Nevis Labour Party candidate for Constituency 7 is criticizing Prime Minister Timothy Harris’ comments dismissing the gravity and impact of a recent court case that paves the way for civil servants to engage in political activity and run for political office without losing their jobs. Natta scored what he called a victory for public servants when he filed a motion challenging sections 36 and 38 of the Civil Service Act that prohibited government employees from engaging in political activities and contesting elections, and won. Justice Eddie Ventose last week declared those sections unconstitutional, null and void. Natta, who was charged for breaching those same sections, said the Prime Minister’s response is a demonstration that he has no respect for civil servants or the judicial system. “It was a massive victory in the court last week for civil servants where basically the court declared the regulations of the Code of Ethics Articles 36 and 38 are deemed to be null and void and unconstitutional. This has paved the way for civil servants to get what is rightfully theirs under the Constitution of St. Kitts and Nevis. It allows the civil servants to join in the political debate in this country to have a voice in the policies of the government. This is a massive victory but we have a long way to go; because the Prime Minister of this country has demonstrated that he has no respect for the people of this country, no respect for the high court and the decision of Judge Ventose, and more importantly no respect for the civil servants. “Listen to the townhall meeting, listen to his comments- ah stupidness that. This is what is coming from our Prime Minister as he refers to a major court decision; imagine that. “This is not the first time the government has lost a high court case; under Labour several cases were lost. Dr. Douglas did not behave like that, he accepted the court’s decision and moved on. He didn’t refer to them with those sentiments, bout stupidness. “Look at what happened several weeks ago at the magistrate court court. At no time did he make any mention or use any colorful adjectives to describe what happened with his sister Donna Harris. He was mute; but all of a sudden stupidity of a landmark decision about civil servants. The suspended Customs Officer is now challenging his suspension based on the court ruling. He said since Prime Minister Harris is of the view that the matter was “stupidness”, why did the government pay a high priced senior counsel out of Trinidad to represent them in the matter. Leon Natta Nelson speaking on Freedom FM’s Issues program on Wednesday.